Dr. Cleophas O. Jones was born in Mobile, Alabama. He is an educator with 20+ years of K-12 leadership experience at the elementary, middle, high school, and district office level, in one of the largest public school systems in the United States. 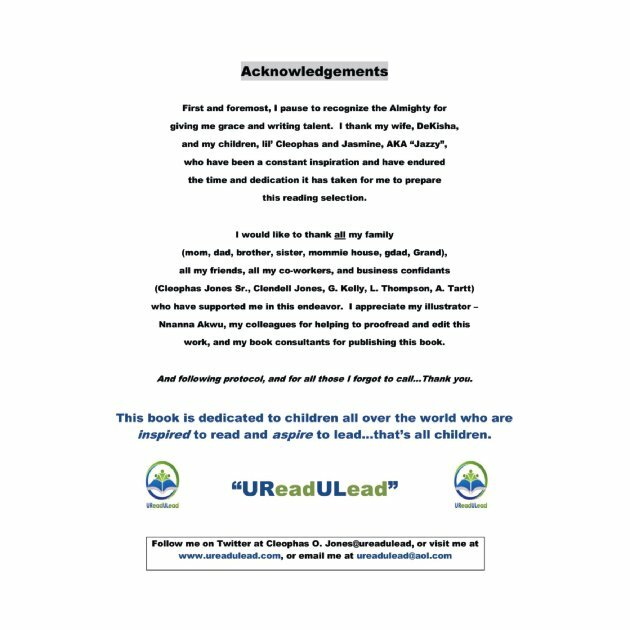 He is committed to providing highly resilient, fun, and functional literature selections designed to reach and inspire all readers, and particularly, struggling readers. Dr. Jones believes in reading for positive acceleration, learning for productive maximization, and applying your knowledge for progressive elevation. His literary works are dedicated to children all over the world who are inspired to read and aspire to lead…that’s all children. Remember – “Set your mind to having fun when reading, and reading will become a fun mindset”. 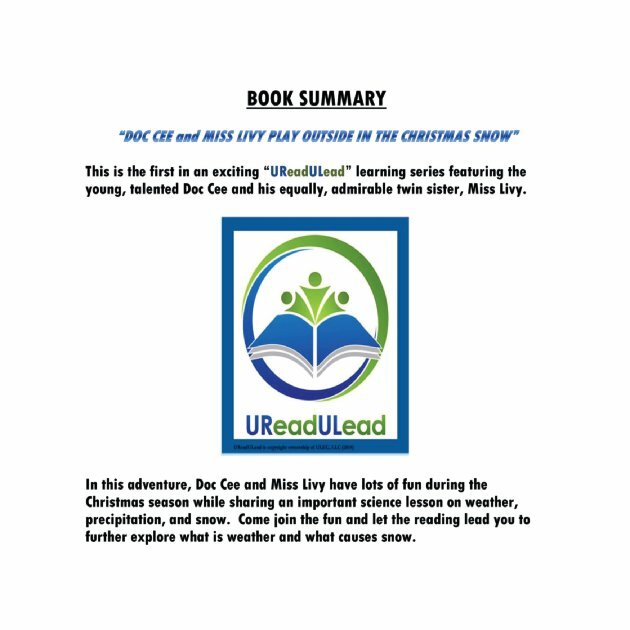 This is the first in an exciting “UReadULead” learning series featuring the young, talented Doc Cee and his equally, admirable twin sister, Miss Livy. In a very fun-filled way, this selection is meant to encourage readers to become more familiar with topics and aspects related to the weather, elements, and nature. Friendship and Cooperation are two character traits that may be infused in the teaching of educational standards designed to promote learning and overall positive growth and development. Who Are Doc Cee and Miss Livy? 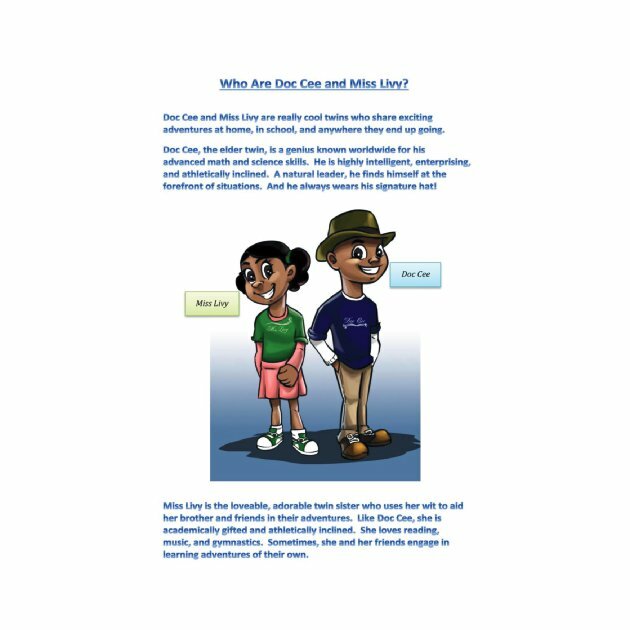 Doc Cee and Miss Livy are really cool twins who share exciting adventures at home, in school, and anywhere they end up going. 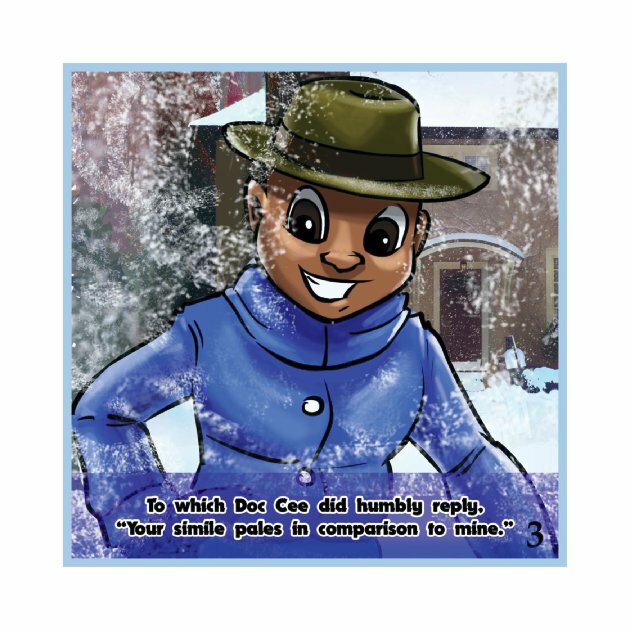 Doc Cee, the elder twin, is a genius known worldwide for his advanced math and science skills. 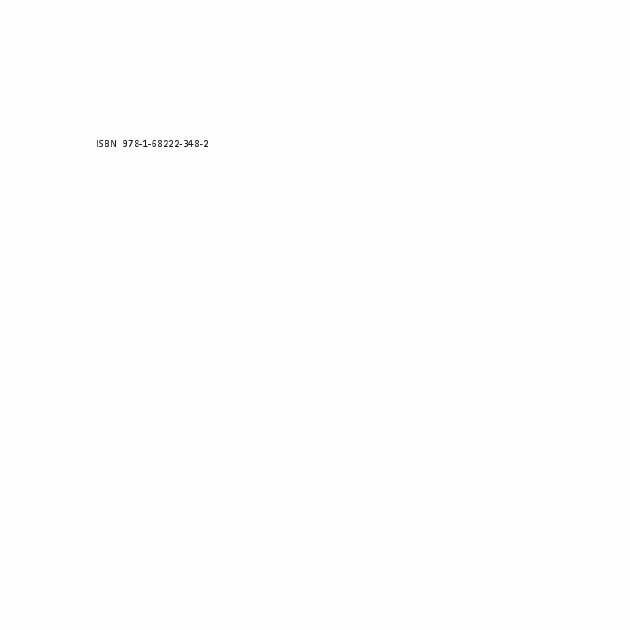 He is highly intelligent, enterprising, and athletically inclined. A natural leader, he finds himself at the forefront of situations. And he always wears his signature hat! 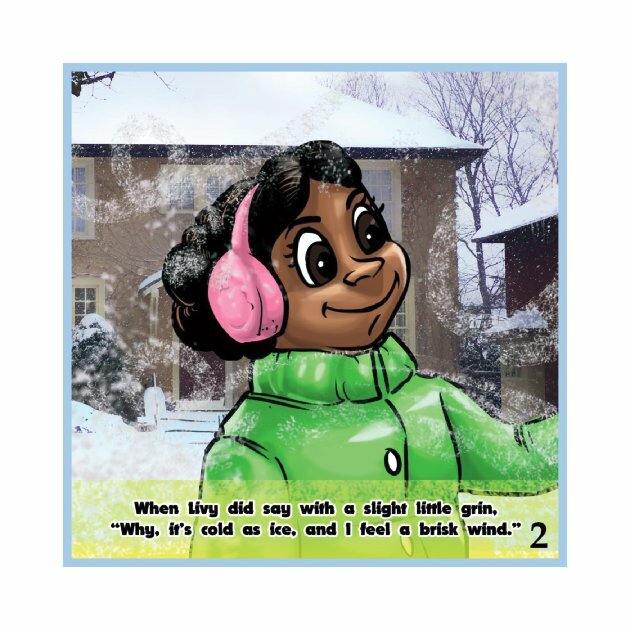 Miss Livy is the loveable, adorable twin sister who uses her wit to aid her brother and friends in their adventures. Like Doc Cee, she is academically gifted and athletically inclined. She loves reading, music, and gymnastics. Sometimes, she and her friends engage in learning adventures of their own. 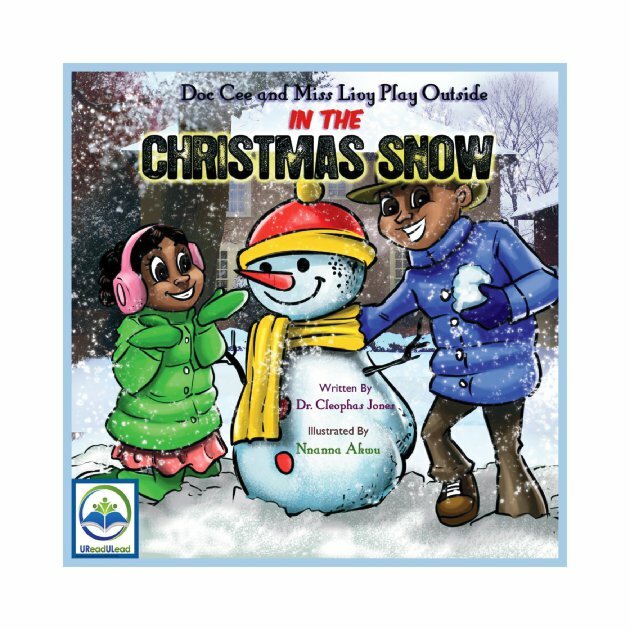 In this adventure, Doc Cee and Miss Livy have lots of fun during Christmas season while sharing an important science lesson on weather, precipitation, and snow. 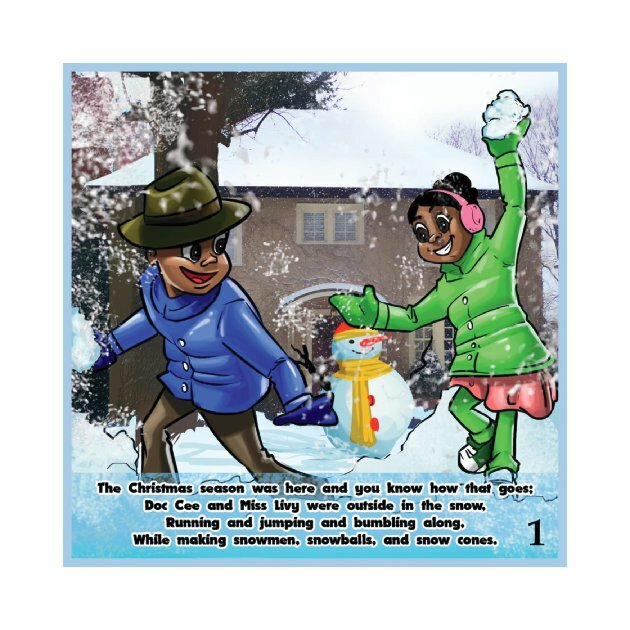 Come join the fun and let the reading lead you to further explore what is weather and what causes snow.